The Western is a genre of film usually set in the second half of the 19th century during America’s Wild West period. Full of gunfights, horse riding, Native Americans, bandits, and gambling, the Western became a popular film genre in the early 1900s and is still beloved today. The genre also provided some actors with an opportunity to make names for themselves and launch successful acting careers. While many actors were involved in Western films, only a few came out as true masters of the genre. Here are those actors. Wow! Gary Cooper was involved with the genre almost since its inception. 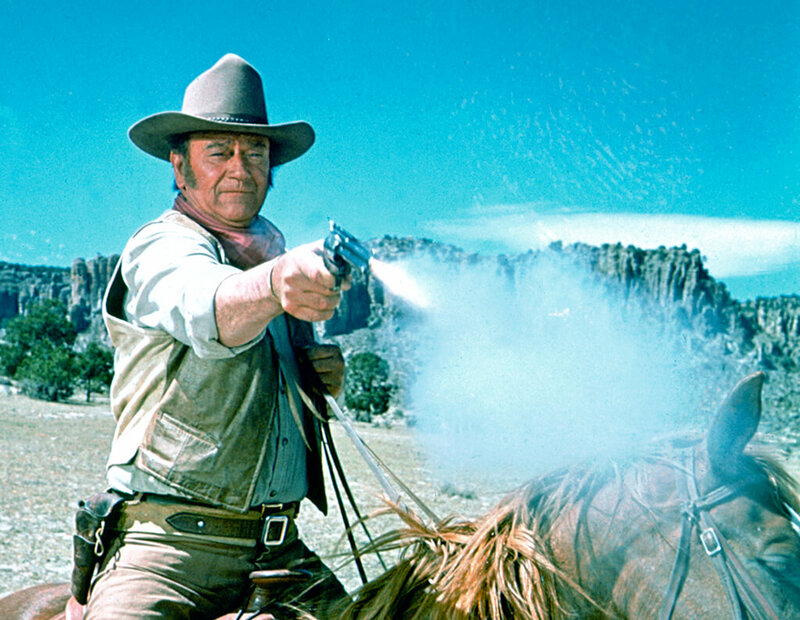 Over the years, John Wayne has come to embody the essence of the Western genre. During the 1930s, he worked on a series of B films in the Western genre until he became a star after acting in John Ford’s Stagecoach in 1939. From there, he starred in over 142 films and produced many of them. Biographer Ronald Davis proclaimed that “John Wayne personified for millions the nation’s frontier heritage. Eighty-three of his movies were Westerns, and in them, he played cowboys, cavalrymen, and unconquerable loners extracted from the Republic’s central creation myth.” His most well-known roles were in films such as True Grit, for which he won the Academy Award for Best Actor, Red River, The Longest Day, and more. Born in 1901, Gary Cooper had an acting career that lasted from 1925 to 1961. During that time, he was the leading role in 84 films spanning from the ending of the silent film era to the end of the Golden Age of Hollywood. Although he acted in a range of genres, he is best known for playing the role of the American hero, especially in Western films. He made a name for himself in the Western genre with his first sound film The Virginian, followed by filmssuch as High Noon, Man of the West, The Westerner, Fighting Caravans, and numerous others. Throughout his career, he was nominated for and won many Academy Awards for Best Actor. Cooper also took home Golden Globe Awards, Laurel Awards, and more. Which Western actor was the highest ranking actor in the military? Read on. Before Clint Eastwood achieved numerous accolades as an actor, filmmaker, musician, and political figure, he was a Western star. He first came into popularity acting in the Western TV series Rawhide, and later graduated to Western films by playing The Man With No Name in Sergio Leone’s Dollars trilogy which included A Fistful of Dollars, For A Few Dollars More, and The Good, the Bad, and the Ugly. The final film in the series, The Good, the Bad, and the Ugly is what solidified Eastwood as a supreme Western actor. It then led him to star in roles such as Hang Em’ High, Coogan’s Bluff, The Outlaw Josey Wales, Two Mules For Sister Sara, and more. Although Eastwood will forever remain an icon in the Western genre, most of his awards came later in his career for his directing abilities. James Stewart was not only a respected and beloved actor but was also a military officer. During his military career, he became the highest-ranking actor in military history, even making the rank of Brigadier General in the United States Air Force Reserve. He channeled some of his experience and discipline from the military into the characters he played, especially in his Western films. He starred with John Wayne in the film The Man Who Shot Liberty Valance and is known for his other Western films Bandolero!, Bend of the River, and Broken Arrow. He has since been named the third-greatest male screen legend in the Golden Age of Hollywood, received an Academy Award Lifetime Achievement Award, and the American Film Institute named five of his films in the 100 best American films ever made. Sam Elliot was destined to be a Western actor. His personality worked well with his Western characters and turned his films into major box office hits. Films such as Abilene Town in 1946 helped prove his skill in the Western genre which he continued to act in, working with famous producers and directors. He was inducted into the Western Performers Hall of Fame at the National Cowboy & Western Heritage Museum in 1975 and won a Memoriam Gold Boot for his work. 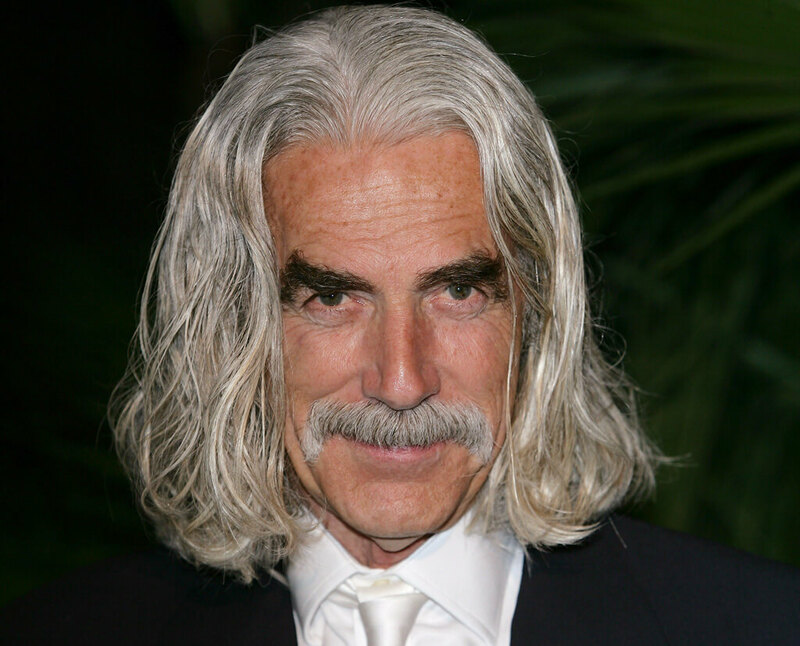 Sam Elliot’s acting abilities, as well as his physical appearance and demeanor, led him to be frequently cast as a cowboy or rancher in Western films. On top of that, he also said he associates with the Western tradition, having a relative who fought in the Battle of the Alamo. In part, it’s his cowboy look that helped get him into acting. He was known to play small parts in Western films because he fit in so well until he eventually landed a role as “Card Player #2” in the Paul Newman-Robert Redford hit Butch Cassidy and the Sundance Kid. Elliot has also starred in other big Westerns such as The Quick and the Dead, Tombstone, and I Will Fight No More Forever. Robert Duvall is a well-rounded actor. He’s known for his different roles ranging from science fiction shows such as The Twilight Zone to Western classics like True Grit. Although he is a versatile actor, he is beloved for his Western roles in particular. He began acting in Westerns in the 1950s in films such as True Grit, Joe Kidd, and Lawman, but continues the tradition today in movies like Open Range, Broken Trail, and Wild Horses. Duvall is credited with helping to keep the Western genre alive by maintaining to make these movies and holding them to the high standards they had during the Golden Age of Hollywood. Henry Fonda’s kids followed in his footsteps. Henry Fonda got his start on Broadway but eventually made his way to the big screen where he established himself known as one of the most prominent Western actors of all time. He made his Hollywood debut in 1935 and after achieving fame starred in Sergio Leone’s Once Upon a Time In the West. He acted in other Western films such as How the West Was Won, Jesse James, Firecreek, The Cheyenne Social Club, and more. For his acting capabilities, he was named the sixth-Greatest Male Star of All Time by the American Film Institute and is the patriarch of the acting family that includes Jane Fonda, Peter Fonda, Bridget Fonda, and Troy Garity. Although none of his major awards came from his Western films, he’s still highly regarded for his work in the genre. Burt Lancaster is known as the “tough guy” actor who liked taking on the challenge of playing demanding roles which led to his success as an actor. After gaining attention in Hollywood, he began acting in Western films such as Vengeance Valley, The Kentuckian, and The Unforgiven. He also co-starred with Lee Marvin in the 1966 hit Western film The Professionals. Lancaster continued to act in countless Westerns throughout his career and won many awards for his acting in different genres. The American Film Institute also named him #19 of the Greatest Male Stars of Classic Hollywood Cinema. 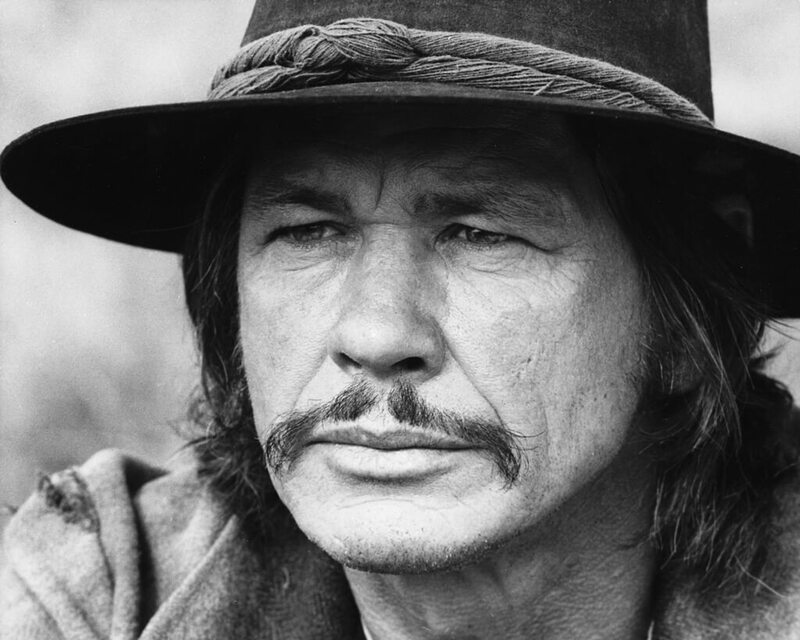 The Western genre wouldn’t have been the same without the work contributed by Charles Bronson. He is iconic as the typical cowboy character atop his horse, usually plotting revenge. He played all of his roles very naturally which helped him to make a name for himself as a Western actor. 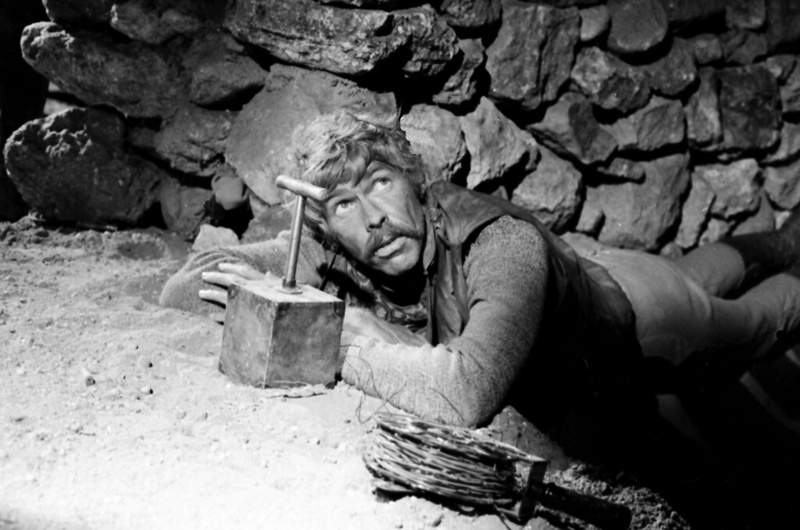 Bronson’s most notable Western films included Once Upon a Time In the West, The Magnificent Seven, and Apache, although he acted in numerous others. Because he liked to play in action-packed gunfighting films, he fit right in with the Western tradition and handled all of his characters with ease. 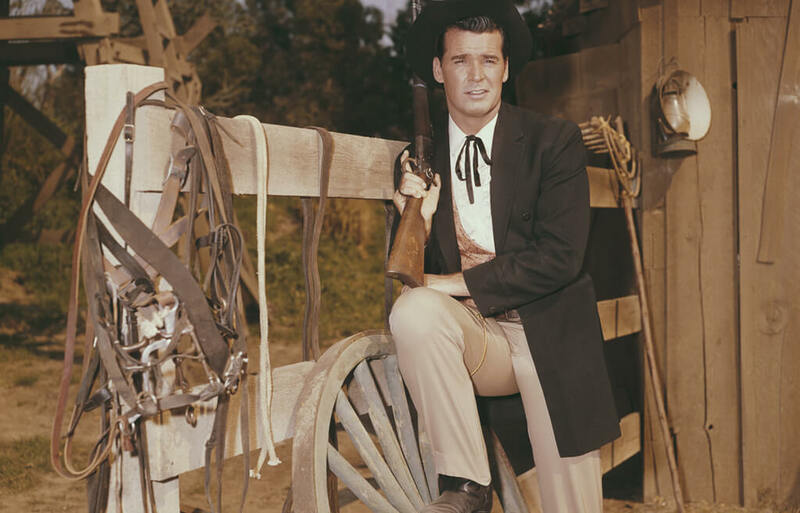 Read on to find out which actor helped bring the Western to television. 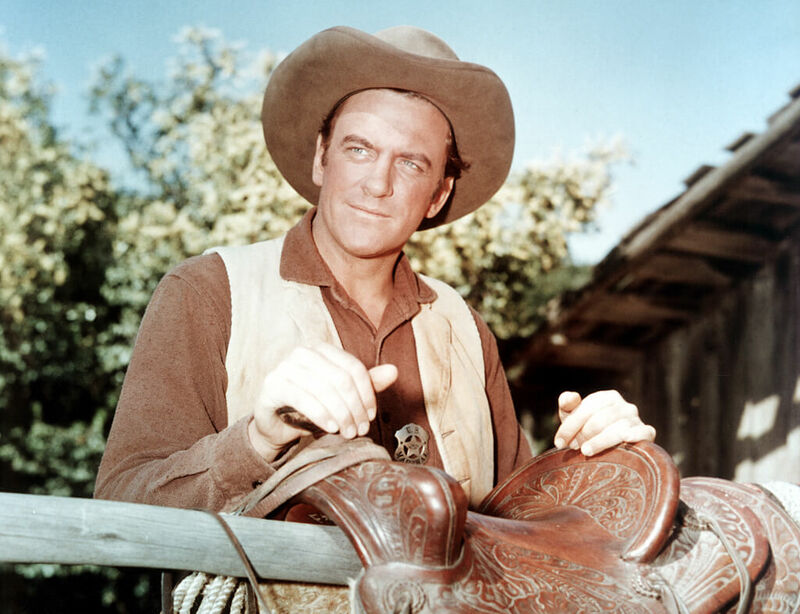 James Arness was a television actor who helped to bring cowboys to the family living room every week. He is best-known for playing the role of Marshal Matt Dillon on the television series Gunsmoke for 20 years. Along with Gunsmoke, he also acted in the series How the West Was Won which earned him a large following in the United Kingdom for his portrayal of the character Zeb Macahan. Although he was featured in a few Western films, it was Arness’ contributions to Western television programs that make him one of the most regarded Western actors of all time. 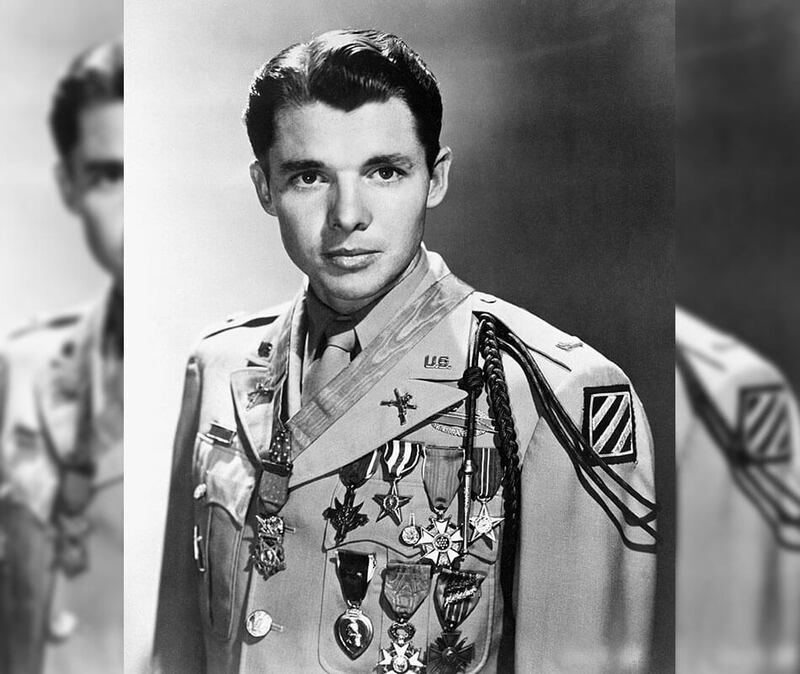 Audie Murphy truly lived a unique life. Murphy, born in 1925, was one of the most highly decorated combat soldiers in World War II. When he was just 19 years old, he received the Medal of Honor for single-handedly repelling an entire troop of German soldiers for an hour. Additionally, he was awarded every single award for valor from the U.S. Army. After his astonishing success in the military, Murphy began a 21-year career in film. As an actor, he was best known for his roles in films like The Kid from Texas, Sierra, and The Unforgiven. He appeared in more than 40 movies during his time as a Hollywood actor. Audie Murphy died in a plane crash on May 28, 1971. Much like James Stewart, James Gardner was also a cowboy and a real-life soldier. He was even awarded the Purple Heart for his sacrifice in World War II. Garner took experiences from the war and poured them into his acting, particularly in Westerns. He became well-known through his performance as Bret Maverick in the 1950s television show Maverick and even played the same role in a few feature-length films. 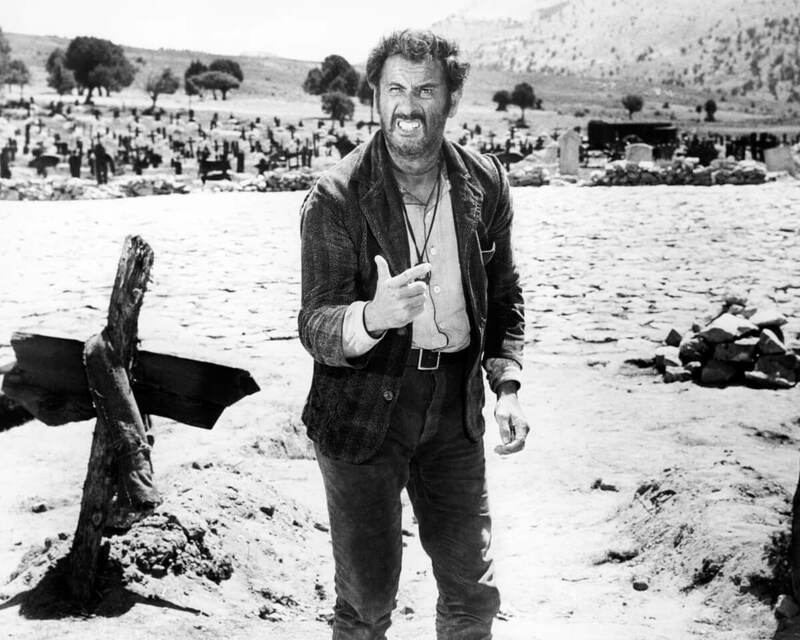 Although his Bret Maverick character was his most famous work, he was also in other Westerns like A Man Called Sledge, The Castaway Cowboy, and Duel at Diablo. 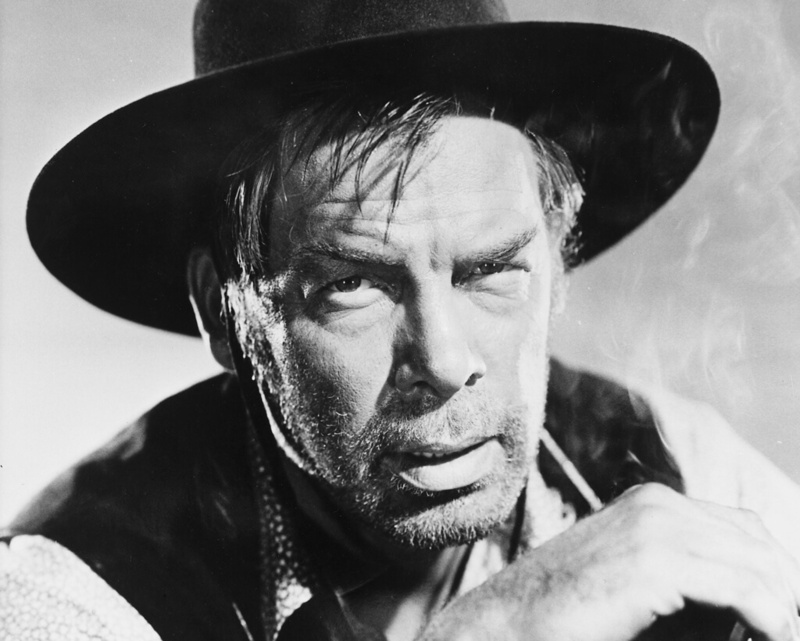 Lee Marvin was a Western actor who also was famous for his work in both television and movies. Although he started out with small features in Westerns, by the end of his career he was one of the biggest stars in Hollywood. One of his most notable performances was in the Western comedy Cat Ballou in 1965 in which he played the dual roles of Kid Shelleen and Tim Strawn. The film also co-starred Jane Fonda, Henry Fonda’s daughter. He went on to win the Academy Award for Best Actor as well as numerous other awards for his work on the film. He was also in Bad Day at Black Rock, Gun Fury, Hangman’s Knot, and The Man Who Shot Liberty Valance. Steve McQueen gave the cowboy a new look. 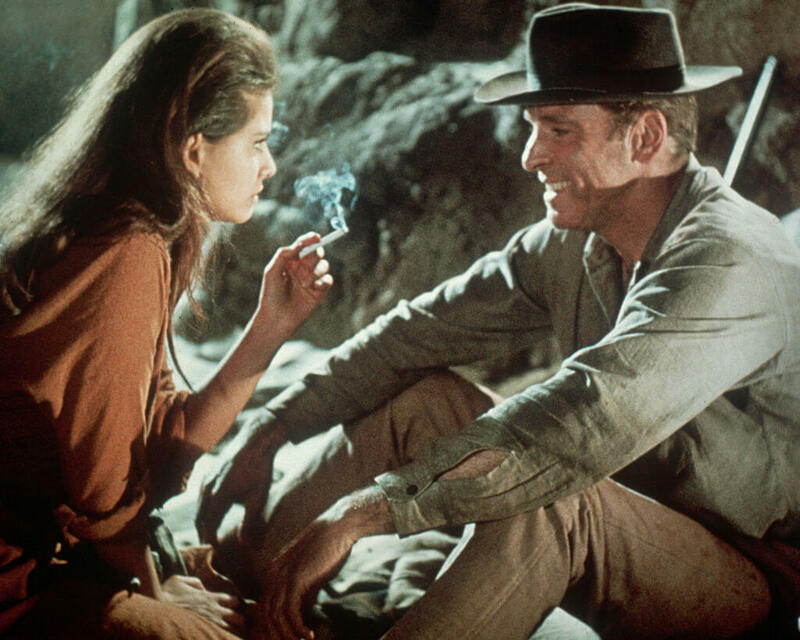 Over the course of his career, Steve McQueen didn’t just earn the reputation of a cowboy, but the suavest cowboy around. 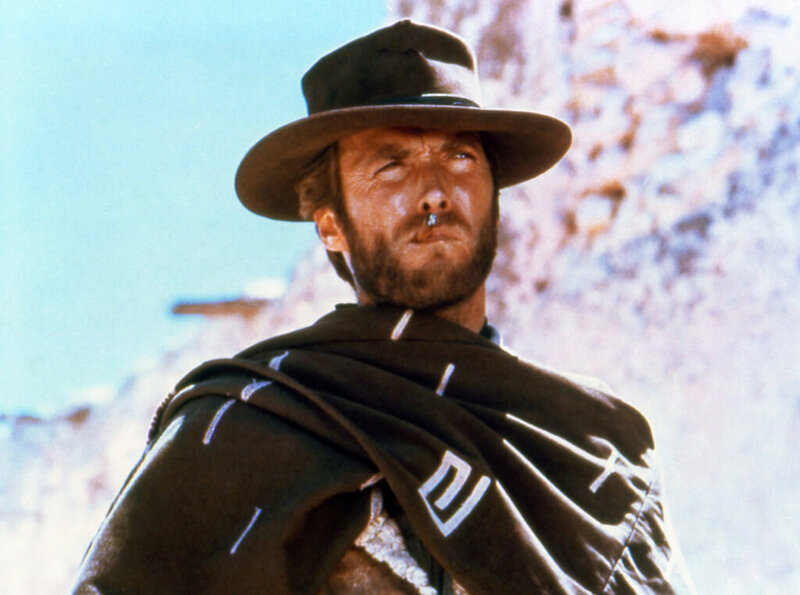 His performances in Western flicks and television shows helped make him one of the highest paid actors of all time during his career. However, he didn’t always get along with directors and producers. He began his career in showbusiness guest starring in a Western series titled Tales of Wells Fargo and later acted in the series Trackdown.1960’s The Magnificent Seven was his first huge hit. 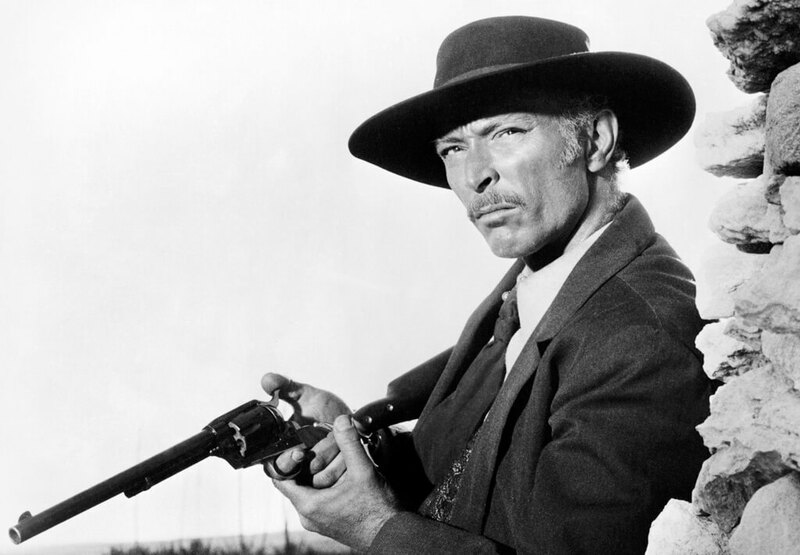 Not only did Lee Van Cleef have the looks and mannerisms of the perfect Western villain, but he could also act the part too. At first, it was his look that helped him get the role for his early villain parts, but it wasn’t long until his talents became noticed. He made it big after he played opposite Gary Cooper in High Noon. After that, Van Cleef played the villain in The Good, the Bad, and the Ugly and For A Few Dollars More. 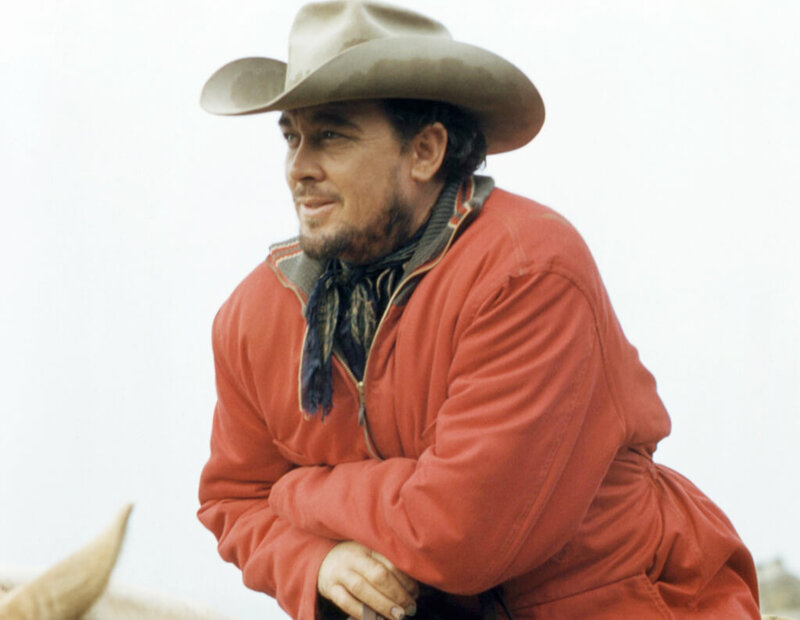 He gained a lot of popularity outside of the United States for these roles and continued acting for Western television shows like The Adventures of Kit Carson, The Range Rider, and Stories of the Century. Coming up, see which villain was on par with Lee Van Cleef. Chuck Connors was a jack of all trades. He was a professional baseball player, professional basketball player, and an actor. 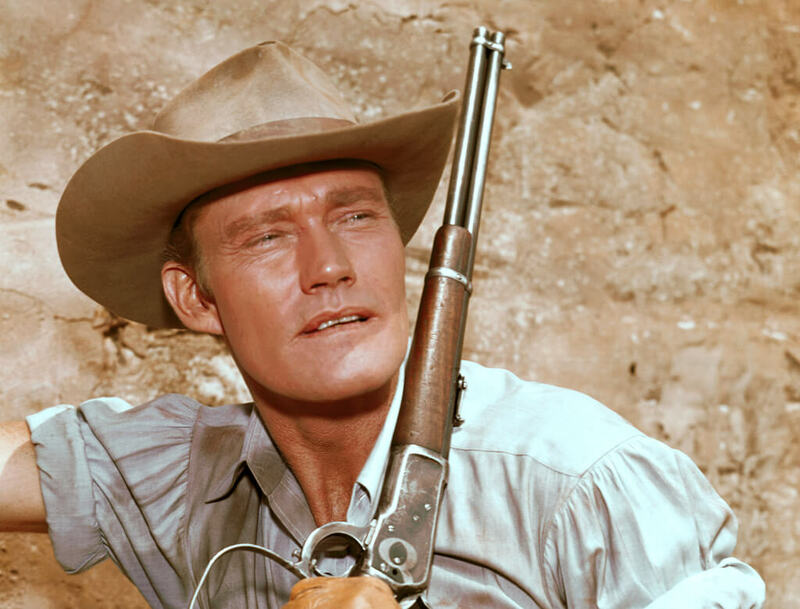 However, when he focused more on his acting career, he found fame starring in Western television series such as The Rifleman, the biggest hit of his career. Here, he played the legendary role of Lucas McCain, a widower who used his skills with a rifle to exact revenge on those who had wronged him. In addition to his work on The Rifleman, Connors was also in other Western films and shows such as The Big Country, Pancho Villa, Once Upon A Time In Texas, and more. 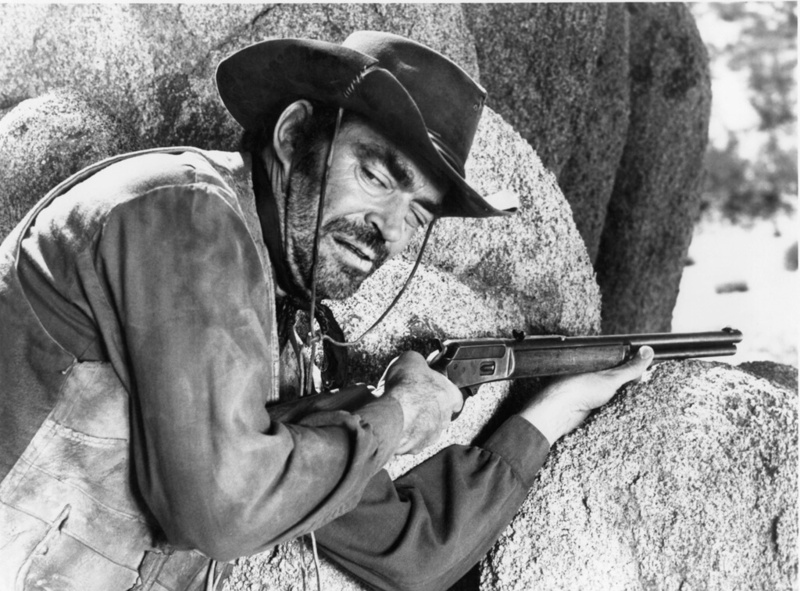 Jack Elam is another actor who filled the ever-so-necessary role of the Western Villain on numerous occasions. Much like Lee Van Cleef, he had the look for it and also had a knack for pretending to be evil. 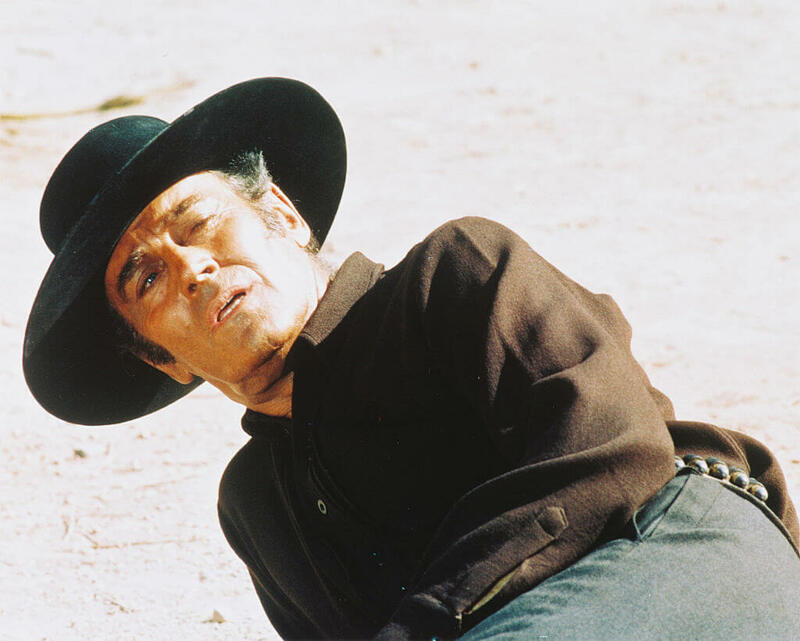 He had a filmography of over 70 films and more than 40 television shows, many of which were Westerns. Some of his most notable Western television performances were on The Rifleman, Gunsmoke, The Lone Ranger, and Tales of Wells Fargo. He also acted in major Western films such as Once Upon a Time in the West, The Far Country, and Vera Cruz. In 1994, he was inducted into the Hall of Great Western Performers. For Ben Johnson, acting in Western films came naturally considering that he was a genuine cowboy. While an actor and a stuntman, he was also a world champion rodeo cowboy. He won an Academy Award for Best Supporting Actor in the film The Last Picture Show, a movie about a retired cowboy. Johnson was cowboy through and through, and his rodeo skills are what got him started in Hollywood. His first role was in the film The Outlaw where he was only supposed to be helping to wrangle off-screen but somehow managed to appear in the movie. His work behind the scenes, as well as his stunt work, eventually led to an acting contract. 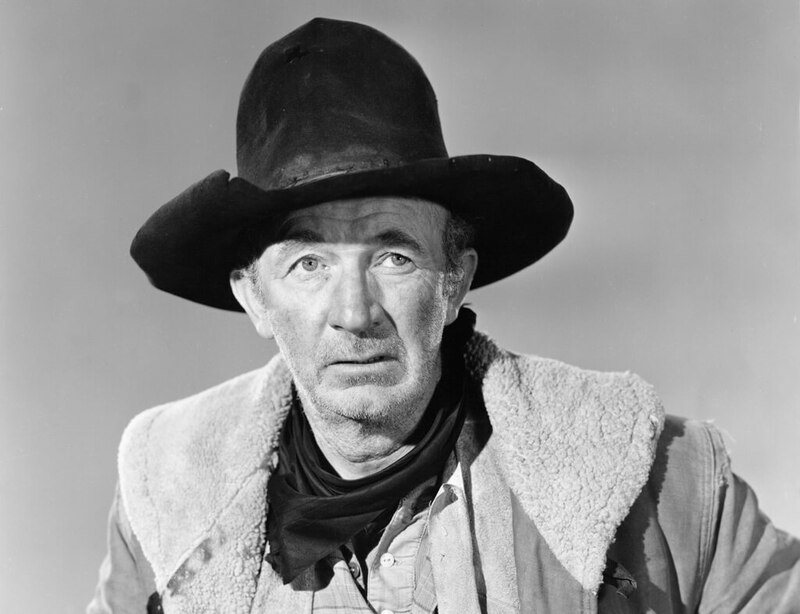 Walter Brennan decided from a young age that he wanted to be an actor. So, he did his time serving as extras in movies until he scored his first role in The Calgary, a Western film. Over the next decade, he played small roles and was in over 100 different films until he played the opposite of Gary Cooper in The Wedding Night. Slowly but surely, Brennan began to rise through the ranks and eventually went on to win three Academy Awards, proving that sometimes persistence is everything. Glenn Ford was Canadian but he showed American actors what it meant to be a Wild West cowboy. With a career that lasted almost half a century, he eventually became one of the most successful actors of his time during Hollywood’s Golden Age. 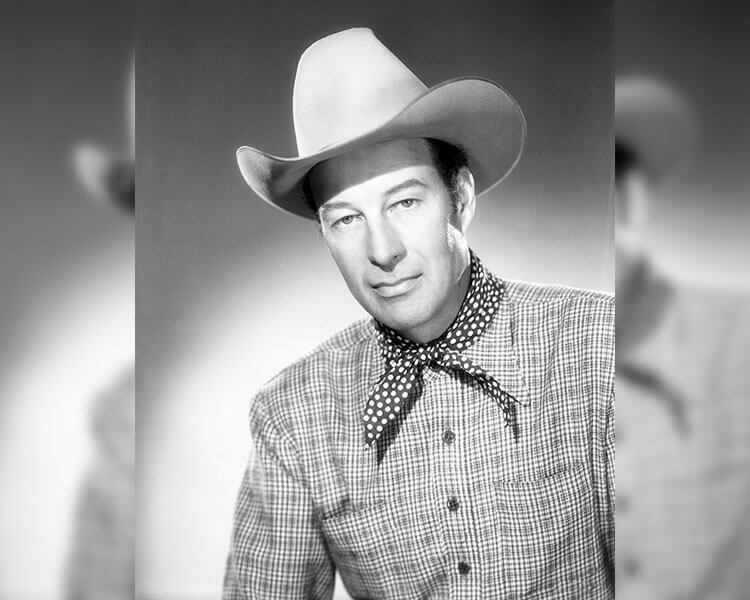 Although he was known for acting in all genres, he was best-known for his Western flicks which included hits such as the original 3:10 to Yuma, The Fastest Gun Alive, The Sheepman, Cimarron, and The Violent Man. Although he didn’t win any awards for his Westerns, Ford’s portrayal of the American cowboy has not gone unnoticed. 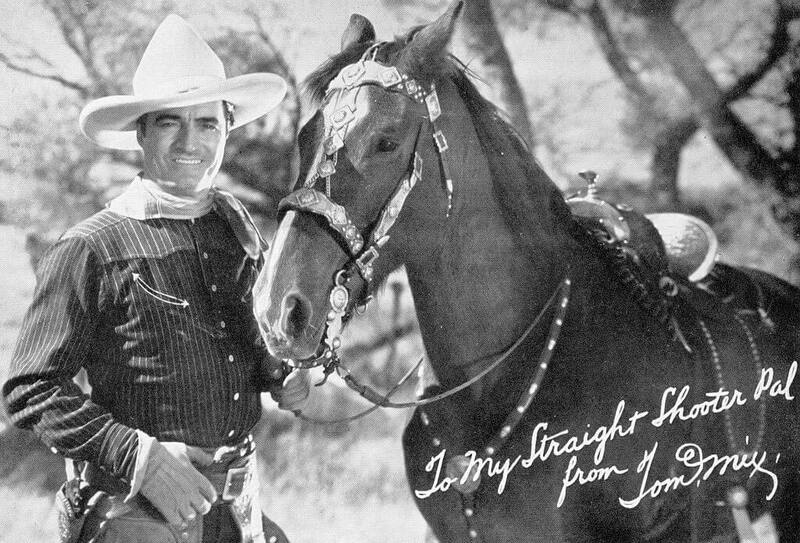 No list of Western greats would be complete without Tom Mix. The prolific actor starred in hundreds of the earliest Western films. Most of those movies were silent. Mix, born in 1880, was declared AWOL in the Spanish–American War before working as a bartender and eventually becoming a horseman. He got his start in showbiz in the 1910 film The Cowboy Millionaire and went to appear in nearly 300 more cowboy movies. Unfortunately, only about 10% of those are viewable today, as many of them were lost over time. Mix is a member of the Western Performers Hall of Fame at the National Cowboy & Western Heritage Museum. Roy Rogers, originally named Leonard Franklin Slye, earned himself the nickname “King of the Cowboys” for his legendary career. 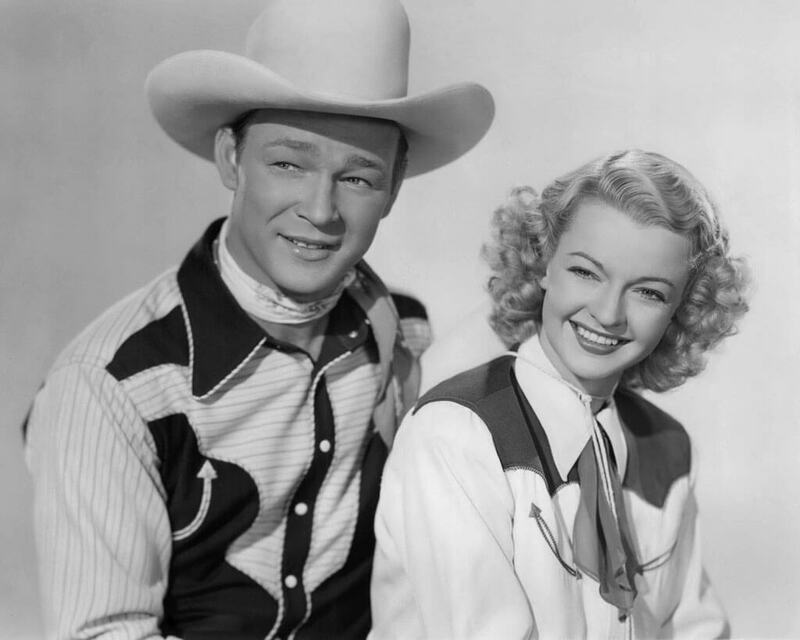 His wife, Dale Evans, was a famous actress. 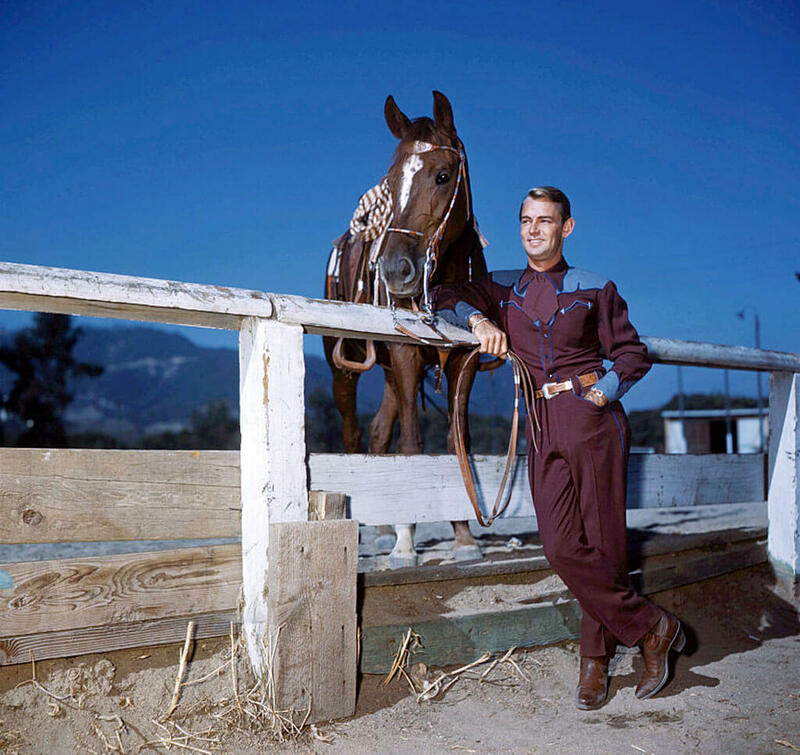 Rogers appeared in over 100 movies during his lifetime and also starred in The Roy Rogers Show, which aired from 1951 to 1957. He got his start in showbiz as a musician and was eventually cast as a singing cowboy in a 1935 Gene Autry movie. 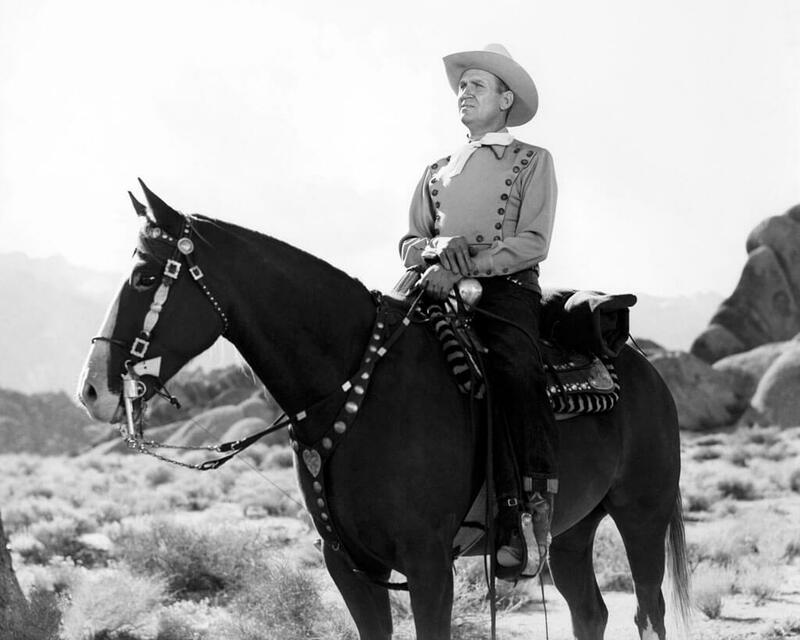 Autry starred in nearly 100 films and also had his own television series, The Gene Autry Show. He is a member of the Country Music Hall of Fame and has a whopping five stars on the Hollywood Walk of Fame. There is also a town in Oklahoma named in his honor. 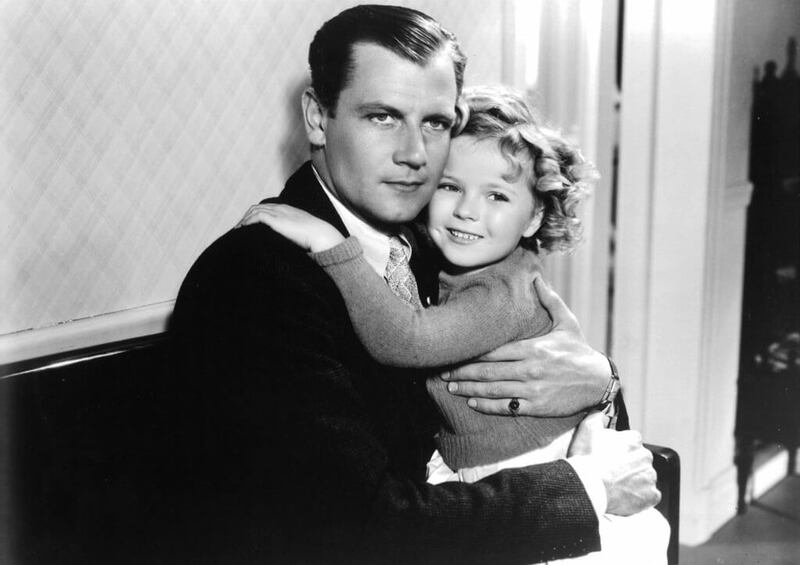 Joel McCrea acted in a wide variety of films in his five-decade career, from Sullivan’s Travels and The Most Dangerous Game to Alfred Hitchcock’s Foreign Correspondent. As a young man, he worked a paper route and was introduced to the film industry because the legendary director Cecil B. DeMille was one of his customers. 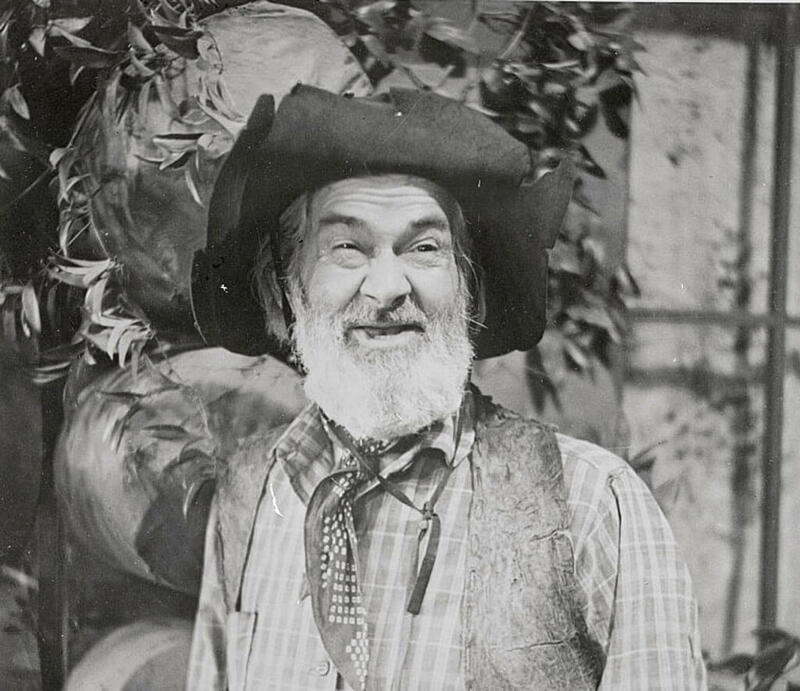 McCrea worked primarily in Westerns during the last years of his acting career. In a 1978 interview, he said, “I liked doing comedies, but as I got older I was better suited to do Westerns… The minute I got a horse and a hat and a pair of boots on, I felt easier. I didn’t feel like I was an actor anymore. I felt like I was the guy out there doing it.” McCrea died in 1990. Actor Gabby Hayes is best known for his roles in B-Western films, although he began his career as a leading man. His most popular characters were bearded cranks who were loyal to their cowboy costars. In the 1930s he played Hopalong Cassidy’s sidekick Windy Halliday. 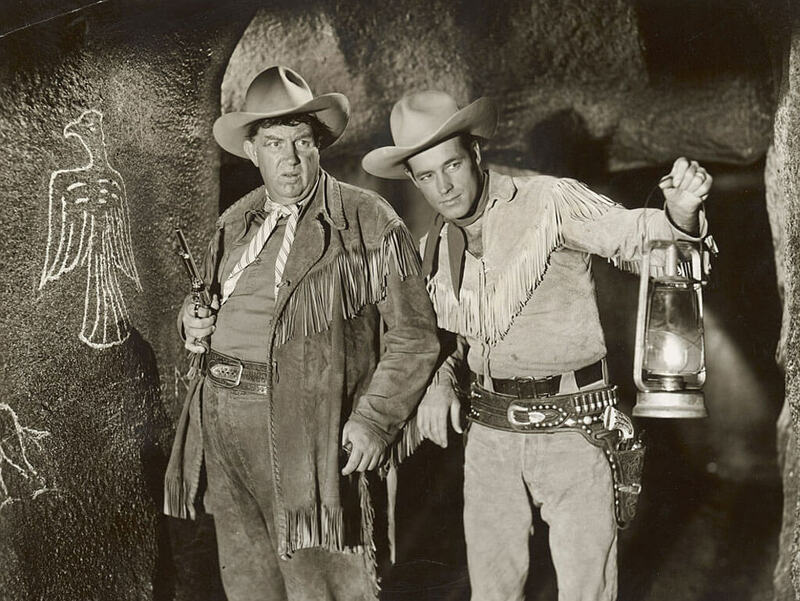 Hayes appeared as John Wayne’s sidekick in 15 films and Randolph Scott’s in six. 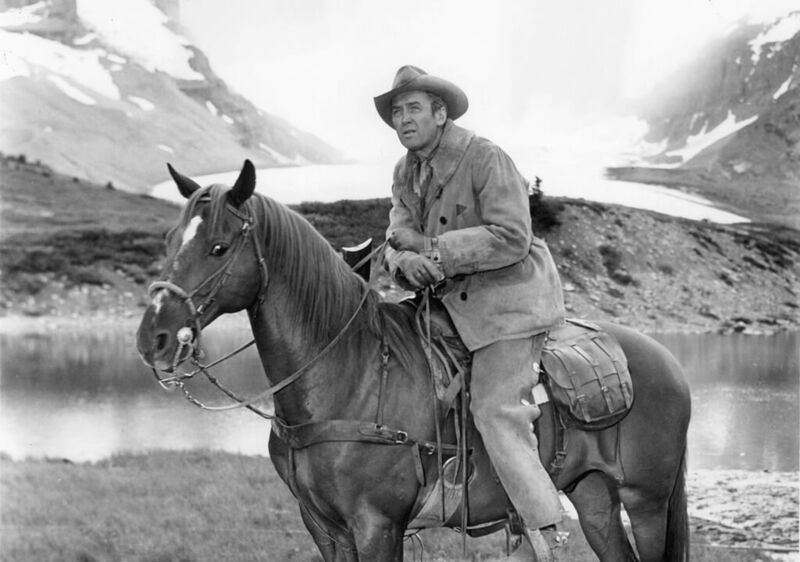 The last movie he appeared in was 1950’s The Cariboo Trail, after which he transitioned to a career in television. There are two stars on Hollywood’s Walk of Fame in Hayes’ honor. John Ford directed some of the most legendary films in history during his 50-year career. His titles include How Green Was My Valley, The Grapes of Wrath, The Searchers, The Man Who Shot Liberty Valance, and Stagecoach. Ford was known for his long shots and for shooting on location, as well as using a “stock company” of actors in many of his films. He holds the record for most Academy Awards for Best Director (four). 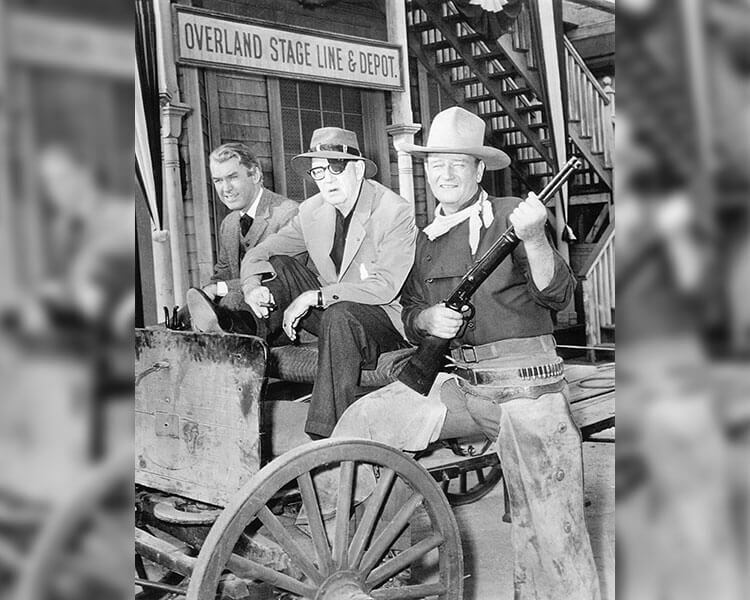 Above, Ford is pictured between actors James Stewart (left) and John Wayne (right) on the set of 1962’s The Man Who Shot Liberty Valance. 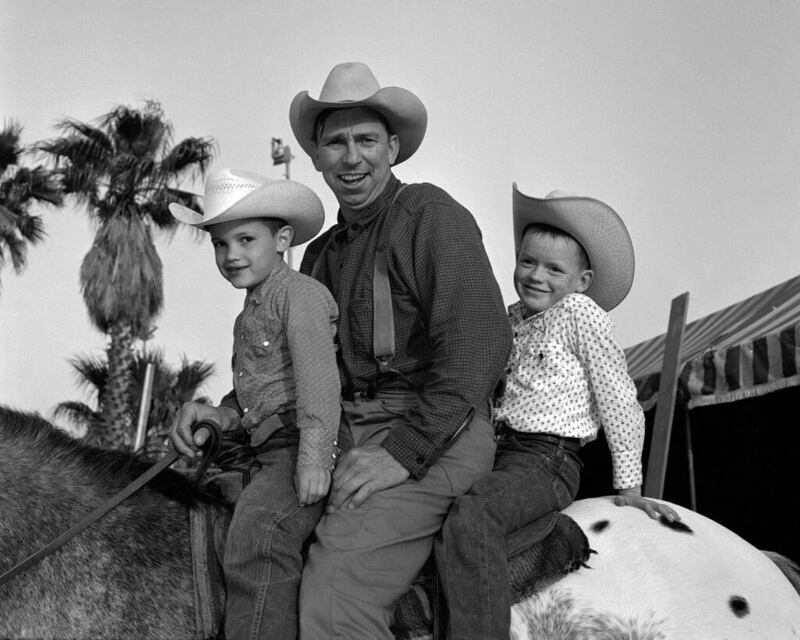 Rodeo performer and film star Slim Pickens was born Louis Burton Lindley Jr. in 1919. He played a cowboy for much of his movie career, after getting a start as a rodeo clown. Pickens enlisted in the United States Army during WWII, and when asked his occupation answered “rodeo.” The recruiter misread this as “radio” and Pickens spent his enlistment working at a radio station. He later went on to star in films like Rocky Mountain, Stagecoach, The Cowboys, Dr. Strangelove, and Blazing Saddles. Pickens went on to act in television and was inducted into the Western Performers Hall of Fame at the National Cowboy & Western Heritage Museum in 1982. Best known for playing Shane in the Western film of the same name, Alan Ladd starred in a number of films during the 1940s and 1950s. Shane later earned a 3rd place position on AFI’s 10 Top 10 Western film list. Ladd’s first color Western was Whispering Smith, and he also appeared in The Glass Key, The Blue Dahlia, The Great Gatsby, This Gun for Hire, and Two Years Before the Mast. In his early days of acting he had an uncredited part in Orson Welles’ Citizen Kane. Tragically, Ladd died of an overdose of drugs and alcohol in 1964. He was just 50 years old. Andy Devine is probably most famous for playing Cookie, Roy Rogers’ sidekick, in 10 movies. He also appeared in Stagecoach, The Man Who Shot Liberty Valance, and the TV show The Adventures of Wild Bill Hickok. With his trademark raspy voice, Devine made dozens of appearances on Jack Benny’s radio show from 1936 and 1942. In his later years, Devine did voice work for animated films like Robin Hood. He died in 1977 and his hometown renamed its Main Street Andy Devine Avenue in his honor. Here, Devine is pictured (left) with fellow actor Guy Madison on the set of The Adventures of Wild Bill Hickok. During the 1920s, 1930s, and 1940s, Buck Jones was a prolific actor in Western films. After a stint in the United States Army (honorably discharged in 1909), Jones started working as a cowboy in Oklahoma. He and his wife, a fellow rider, moved to Los Angeles and Jones got work as a stuntman for Universal Studios. From there, he went to star in the 1920 film The Last Straw. 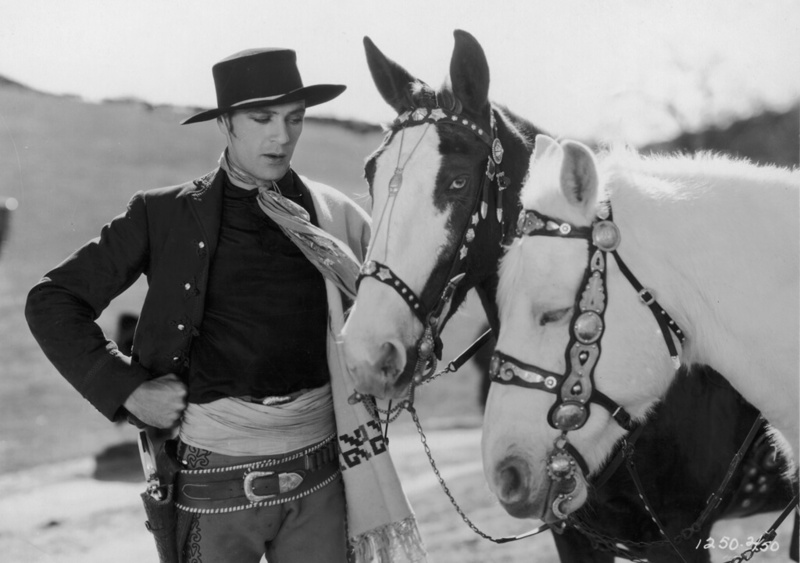 Jones eventually acted in 160 movies, including titles like The Lone Rider, One Man Law, and Empty Saddles. He has a star on the Hollywood Walk of Fame. Here, Jones is pictured with Marla Shelton (left) and Diana Gibson. 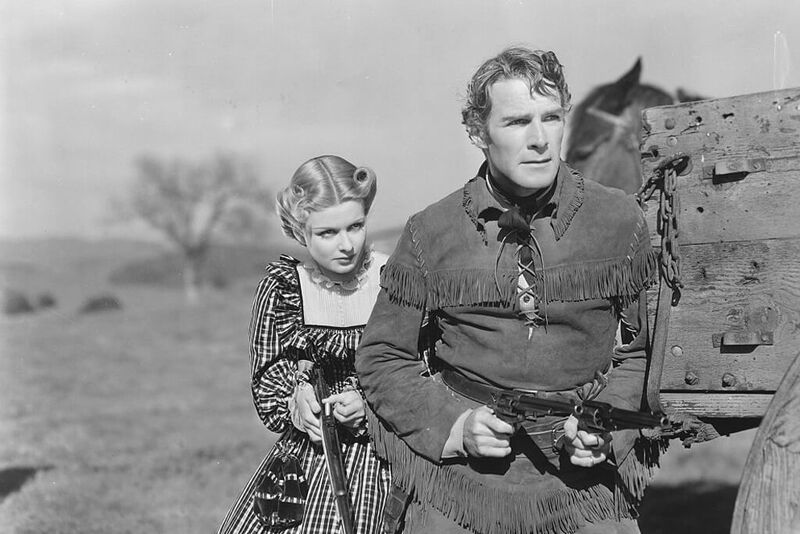 When Edmund Richard Gibson was a teenager he worked at a rodeo where his coworkers gave him the nickname “Hoot Owl,” which eventually became just “Hoot.” The name stuck, and Gibson (along with Tom Mix) earned himself a spot in the 1910 silent film Pride of the Range. He was a huge Hollywood star in the 1920s, ‘30s, and ‘40s, drawing huge crowds to movie theaters in Westerns like The Shootin’ Fool, The Cactus Kid, Hit and Run, and many more. This 1929 photo shows Gibson with costar Fay Wray on the set of Man On The Saddle. Destined to become a Western star, Gordon Nance was born to a cattle broker in 1904 and grew up on a ranch. He performed in rodeos from a young age and won livestock shows. After getting roles as extras in some Western films, Nance changed his name to Gordon Elliot. He was cast in The Great Adventures of Wild Bill Hickok in 1938 and his career really took off from there. Elliot later starred in Calling Wild Bill Elliott and he used that as his professional name for the rest of his career. He might be best known for his work in the Red Ryder film series, in which Robert Blake also acted in. Maureen O’Hara was a red-haired Irish-American actress and singer. She was best-known for playing heroines in western and adventure films. During her acting career, she frequently acted alongside John Wayne and was directed by John Ford. Before her death, she was considered to be as one of the last surviving stars from the Golden Age of Hollywood. O’Hara and John Wayne had such great chemistry both on and off screen that the public was convinced that the two were married or emotionally involved. She is best known for her filmThe Wings of Eagles, Big Jake, Rio Grande, among others. Richard Boone was an American actor with an impressive filmography of over 50 films. 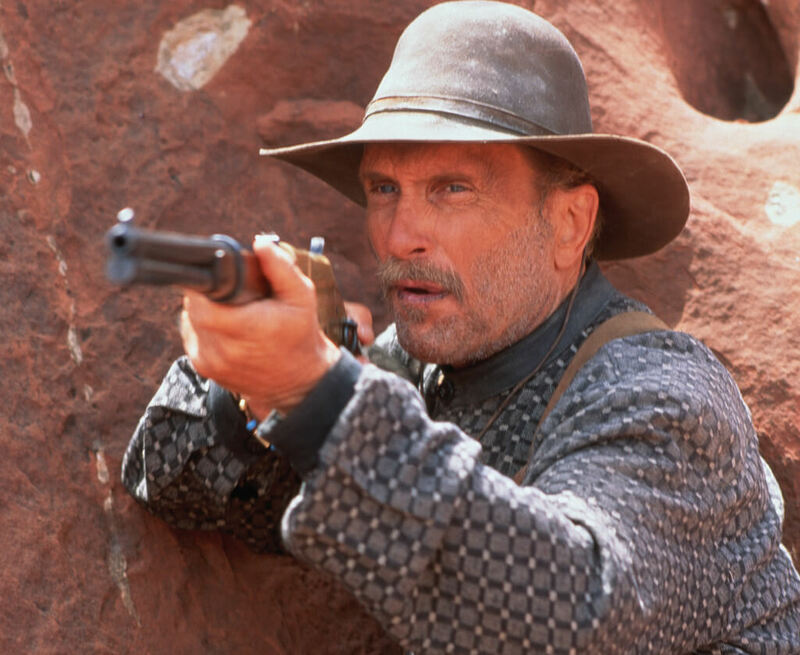 Although he played numerous roles, he is most known for his work in Western films, and most notably the television series Have Gun-Will Travel. After World War II, Boone studied acting and was eventually given a seven0year contract with Fox. 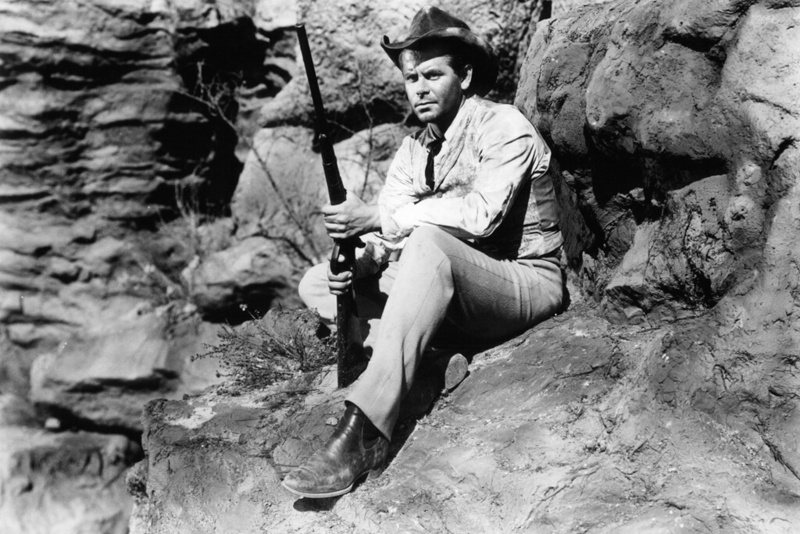 Boone exploded in popularity with his role of Paladin in the television series Have Gun-Will Travel, in which he played a hired gun in the American West. During his career, he also worked beside John Wayne in films such as The Alamo, Big Jake, and The Shootist. 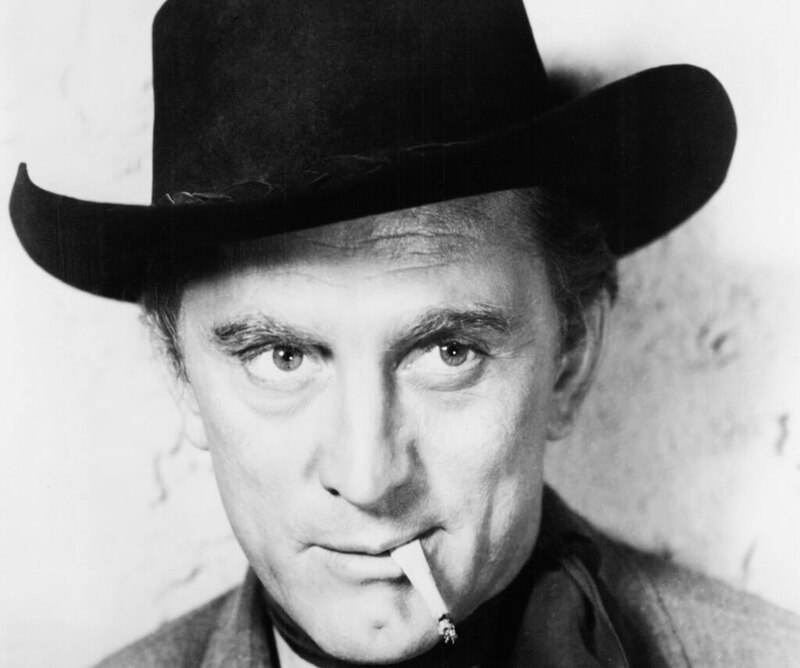 Kirk Douglas, born Issur Danielovitch is an actor, producer, director, and author. Currently, he is one of the last surviving stars of the Golden Age of Hollywood, turning 100 in 2016. Throughout the 1950s and 60s, Douglas was a major box-office star and was best known for his drama roles, especially in Western and war movies. Altogether, he appeared in over 90 films including Westerns such as The Indian Fighter, Gunfight at the O.K. Corral, The Big Sky, among many others. In 1962, he also produced and acted in the film Lonely Are The Brave which went on to become a cult classic. 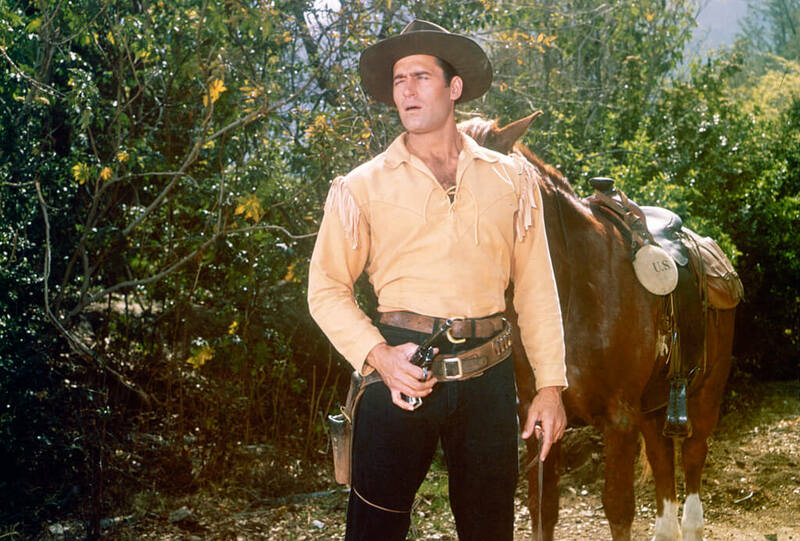 Clint Walker made a name for himself in Hollywood for his role of Cheyanne Bodie in the ABC/Warner Bros. Western television series Cheyanne. He played the role for almost a decade from 1955 to 1963. It was this role that labeled him as a Western actor which he continued to act as throughout his career. Although it was the show Cheyanne that put him on the map, after the series ended, he worked on other Western projects such as the Sam Whiskey and The Great Bank Robbery. He also continued on to make Western television movies such as Yuba and The Bounty Man. He often co-starred along with his wife Anne Jackson, and the two were one of Hollywood’s most beloved couples. Some of his most famous roles were in Western films such as The Magnificent Seven, The Misfits, and The Good, the Bad, and the Ugly. James Coburn had an incredibly successful acting career being featured in more than 70 films and making over 100 television appearances. Because of his looks and demeanor, he often found himself playing the “tough guy” in numerous action and western films. Some of his most famous Western roles were in the films The Magnificent Seven, Duck, You Sucker!, and Pat Garrett and Billy The Kid. During the height of his career in the 1960s and 70s, he, along with Lee Marvin, Steve McQueen, and Charles Bronson, was considered to be one of the toughest guys in Hollywood. Tom Selleck is an actor and producer best-known for his role as private investigator Thomas Magnum in the series in Magnum P.I. 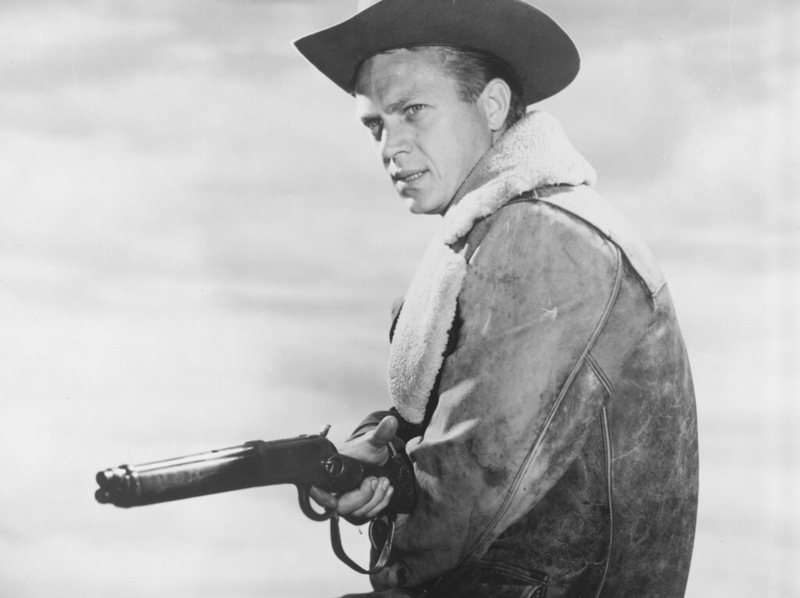 He also starred as Peter Mitchell in Three Men and a Baby and Three Men and a Little Lady, However, aside from his television roles, he was also in Western films such as Concrete Cowboys, and the Australian Western Quigley: Down Under. Selleck’s interests in the outdoors and firearm led him to act in Western films such as the frontier marshal Orrin Sackett in The Sackets. 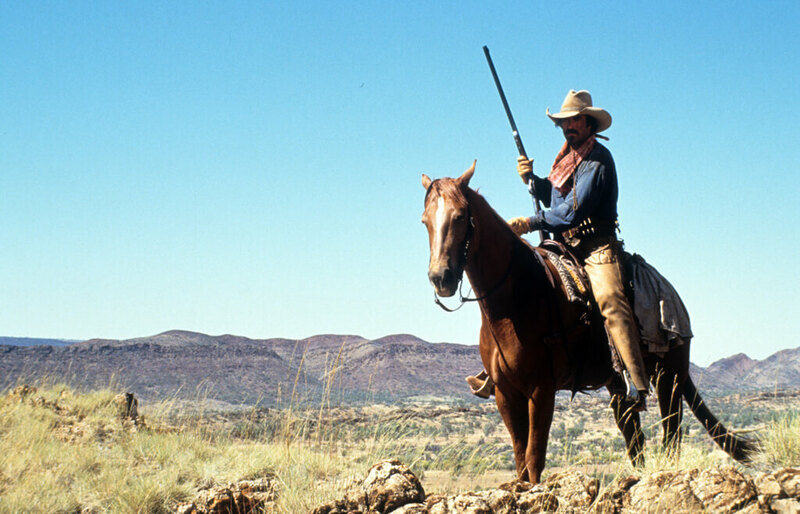 In the film, he played the opposite to Sam Elliot and other Western legends such as Ben Johnson and Glen Ford. Slim Pickens, born Louis Burton Lindley Jr., was an American rodeo performer. It was his skills in rodeo that eventually led him to cowboy roles in comedy Western roles such as Blazing Saddles. Furthermore, he was also a voice actor for the studio recording of Bobby Bridger’s collection of Western ballads A Ballad of the West. He also appeared in countless Western television series such as Stories of the Century, Annie Oakley, The Wide Country. He was also the character Slim in the NBC Western series Outlaws. 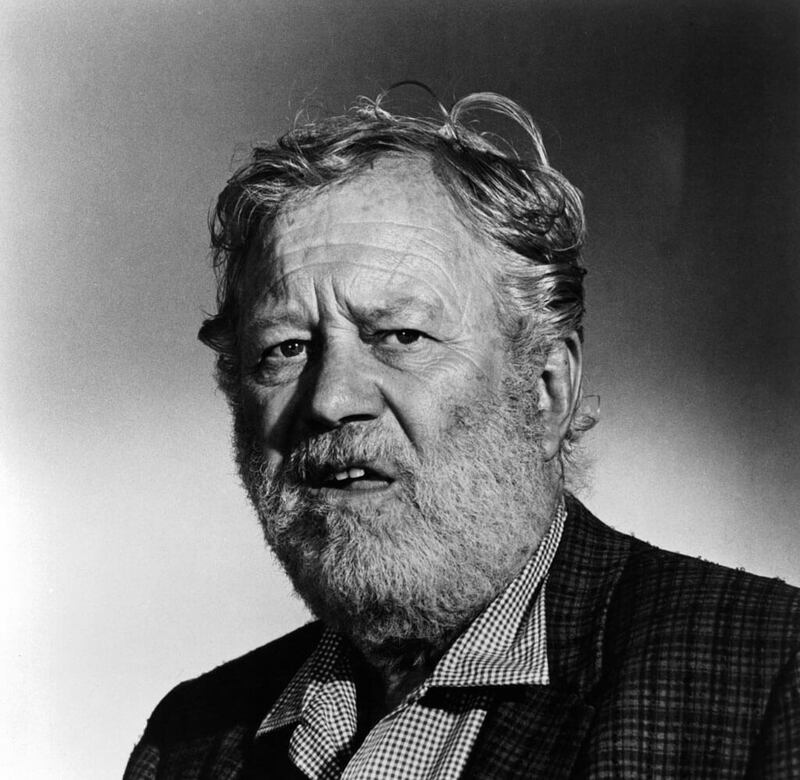 William Edgar Buchanan II gained fame for playing Uncle Joe Carson in three different television sitcoms: Petticoat Junction, Green Acres, and The Beverly Hillbillies. He went on to appear in over 100 films as well as many television shows. Some of Buchanan’s most notable parts in Westerns include titles such as Texas, The Man from Colorado, and Ride the High Country. In the television series Judge Roy Bean, Buchanan played the title role. He died in 1979. 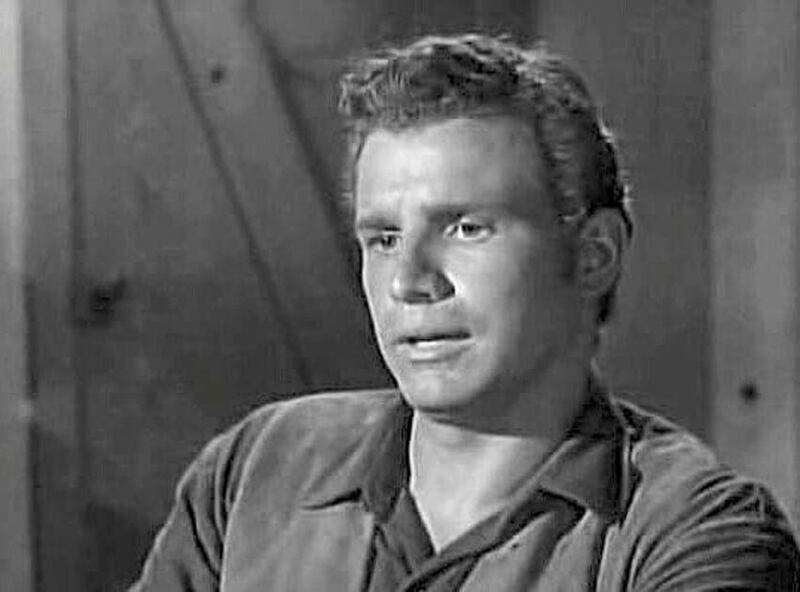 Although Wayne Rogers was best known for his role as Captain “Trapper” John McIntyre on the television series M*A*S*H, he began his career in Western TV shows. Born in 1933, Rogers graduated with a history degree from Princeton University before joining the U.S. Navy. Following his military service, Rogers began an acting career. His roles in television Westerns include titles like Gunsmoke, Johnny Ringo, and Death Valley Days. He became famous for playing Trapper John on M*A*S*H from 1972 to 1975 and received a star on the Hollywood Walk of Fame in 2005. Wayne Rogers passed away in 2015.